How many mistakes did the copyists make? As enjoyable as Misquoting Jesus is, it has found some critics. Conservative Christians, unhappy that Ehrman’s ideas undermine the doctrine of Biblical inspiration, attack Ehrman’s motives (1, 2, 3). Daryl Wingerd writes that Ehrman’s motives are “not wholly noble,” and that his purpose is “to shock Christians” with the facts that (1) we don’t have the original copies of the books of the Bible, and (2) our copies been purposefully changed and corrupted throughout history. What is Ehrman’s fault is how astonishingly misleading his book is. He writes that “there are more variations among our manuscripts than there are words in the New Testament” (p 90), and that the manuscripts “differ from one another in so many places that we don’t even know how many differences there are” (p 10). Ehrman gives the impression that there are so many variants in our manuscripts that we could never know what the New Testament authors originally wrote. But of course Ehrman knows (p 87) that the vast number of textual variants we have is a blessing not a curse, because his books for a scholarly audience spend every page using those variants to reconstruct the original text. In comparison, we can do no such thing with the works of Plato: our earliest manuscript comes 1200 years after Plato lived! We have no hope of reconstructing Plato’s original text, but when it comes to the New Testament we have thousands of copies, and dozens of manuscripts from within just two centuries of the originals. 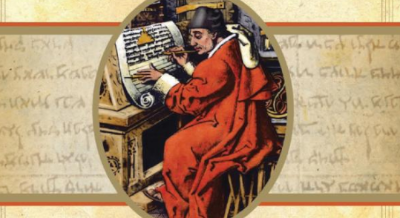 Besides textual evidence derived from New Testament Greek manuscripts and from early versions, the textual critic compares numerous scriptural quotations used in commentaries, sermons, and other treatises written by early church fathers. Indeed, so extensive are these citations that if all other sources for our knowledge of the text of the New Testament were destroyed, they would be sufficient alone for the reconstruction of practically the entire New Testament. The fact is, there are a lot of variants in our manuscripts – but that’s because we have so many manuscripts, each of which helps us reconstruct the original text. If only we had so many early, variant manuscripts for Plato! Besides, nearly all variants are easily detectable and totally unimportant. Spelling mistakes, accidental skipping of a line, etc. For example, some manuscripts of 1 Thes. 2:7 read “We were horses among you” instead of “We were gentle among you.” The difference in Greek is small: hippoi vs. nepioi. Actually, 1 Thes. 2:7 is considered one of the relatively few “difficult” problems of textual criticism, because many manuscripts also read “We were little children among you” (epioi). This is unlike most variants, where the correct reading is obvious because the other variants are obvious misspellings or occur only in much later manuscripts. And yet, what is at stake in 1 Thes. 2:7? No doctrine or historical fact at all. In fact, the meaning doesn’t even change. Both readings make sense. What makes the variant “difficult” here is precisely what makes that kind of variant meaningless and common: either variation means the same thing! So, it’s hard to tell what the original meaning was because neither one is nonsense like “we were horses among you.” And, this kind of variant is common because an inattentive scribe could easily slip a letter as long as the sentence still made sense. In fact, after spelling mistakes, this is the most common kind of textual variant. There are literally hundreds of ways to say “Jesus loves Paul” in Greek (when you consider all possible particles, spelling differences, and words for “love”), so copyists made this kind of error often. But all those hundreds of variants would translate to “Jesus loves Paul,” so who cares? Some variants actually do change the meaning but are easy to sort out. The standard translation of Luke 3:22b reads, “and a voice came from heaven: ‘You are my beloved son; with you I am well pleased.’” But some manuscripts read, “and a voice came from heaven: ‘You are my beloved son; today I have begotten you.’” The latter reading would support the adoptionist view, that Jesus was not divine but adopted by God at his baptism. But this textual problem, like so many others, is easy to work out because all of our earliest manuscripts have the first reading. Only a few later manuscripts (you can see exactly which ones here) support the adoptionist doctrine. So they are probably late corruptions. Thus, we know that “with you I am well pleased” is the original reading, and that’s how all modern translations have it. It would be wrong… to say… that the changes in our text have no real bearing on… the theological conclusions that one draws from them… In some instances, the very meaning of the text is at stake… Was Jesus an angry man [Mark 1:41]? Was he completely distraught in the face of death [Heb. 2:8-9]? Did he tell his disciples that they could drink poison without being harmed [Mark 16:9-20]? Did he let an adulteress off the hook with nothing but a mild warning [John 7:53-8:11]? Is the doctrine of the Trinity explicitly taught in the New Testament [1 John 5:7-8]? …Does the New Testament indicate that even the Son of God himself does not know when the end will come [Matt. 24:36]? If these verses are the strongest evidence for Ehrman’s argument, his argument falls flat on its face. Three of these (Mark 16:9-20, John 7:53-8:11, 1 John 5:7-8) have been rejected by scholars for over a century, and are marked as inauthentic in modern translations. No textual problems there. As for Hebrew 2:9b, modern translations read, “so that by the grace of God [Jesus] might taste death.” A few manuscripts read, “so that without God [Jesus] might taste death.” Ehrman argues that the second reading is original, that it means Jesus died apart from God, and that this affects “the interpretation of an entire book of the New Testament” (p 132). But, no. First, the textual problem is not so difficult. The few manuscripts with the latter reading are from the 10th century, or are translations away from the Greek. The earliest Greek manuscripts affirm the primary reading. Second, Ehrman himself notes in The Orthodox Corruption of Scripture that the author of Hebrews “repeatedly emphasizes that Jesus died a fully human, shameful death… God did not intervene in his passion and did nothing to minimize his pain” (p 144). So if Ehrman’s alternate reading of Hebrews 2:9 fits with the standard theology of Hebrews, how can it change anything? It does not, and in any case the original reading is affirmed by our earliest Greek manuscripts. Now, about Mark 1:41. Most translations read, “Moved with compassion, Jesus reached out his hand and touched him, saying, ‘I am willing. Be clean!’” A few manuscripts read “Becoming angry, Jesus reached out his hand…” Ehrman argues that the second reading is correct, and that this changes the meaning of Mark’s whole gospel.3 But again, the earliest Greek manuscripts affirm the variant that appears in our English translations. And even if Ehrman was right, this would not change our picture of Jesus at all. Mark describes Jesus as angry in 3:5, 9:23, and 10:14, too. Again, Ehrman knows this, for he writes, “Jesus does get angry elsewhere in Mark’s Gospel” (p 138). One more verse describing Jesus as angry does not threaten Christian theology. So, this is not a troubling problem, textually or theologically. Now, the last one: Matt. 24:36. Most translations quote Jesus as saying, “But as for that day and hour no one knows it, not even the angels in heaven, except the Father alone.” Ehrman points out that some early, important manuscripts read, “…not even the angels in heaven, nor the Son…” This is a legitimate textual problem, because early sources disagree. But the meaning doesn’t change, as Ehrman seems to think. The phrase “except the Father alone” already tells us that the “Son” doesn’t know the hour of “that day,” and in any case Mark 13:32 (which is textually undisputed) quotes Jesus as saying, “But as for that day or hour no one knows it – neither the angels in heaven, nor the Son – except the Father.” Ehrman wants us to fret and wail about this, the most substantial of his textual problems in the entire New Testament, and yet most scholars can only shrug: “So?”4 Either reading doesn’t change what the gospels have always said. Ehrman’s book is an engaging one, and his explanation of text criticism method invites no complaints. But one impression with which he leaves the reader – that New Testament manuscripts have been changed so badly that we can’t know what the originals said about theologically important matters – is misleading. It is much easier to undermine the reliability of the New Testament using its own numerous contradictions and inherent implausibility. Everyone outright rejects the many other claims of god-men who come to earth, perform some magic, die, and rise from the dead. Why treat Jesus any different? Because a group of people from a superstitious age said so? Seriously? Incidentally, Ehrman is correct in saying that there are more variants than words in the GNT. Estimates go from 300,000 to 400,000 variants, where there are just over 100,000 words. With that said, you’re correct. The number of variants doesn’t invalidate anything. Well said. Glad to hear an atheist picking up on the sheer awfulness of the idea that lots of manuscript witnesses for a text is a proof of its UNreliabilty. Ehrman’s words seem to be encouraging people to believe that we don’t have the text of any ancient literature, which is surely the reverse of what a text critic should be doing. To get the number of variants, you have to combine the total number of words from all of the manuscripts – far more than 100,000 words. It’s a sleight of hand, and shouldn’t be part of serious scholarship. And the review is correct, attacking the NT on textual grounds is almost doomed to fail with anyone in the know. Not to mention, as Roger P. points out, that Bart E. almost gives the impression that the more evidence you have, the worse off you are. Scholars of most ancient texts would kill to have that many resources available! Best to try a different approach. I don’t know if you have the paperback edition or not, but if not get to a bookstore and check the back of it: There you will find an interview with Ehrman in which he clarifies his thesis and seems toned down a bit. “One of the disputes between Ehrman and White had to do with the period of time before we find any manuscripts of the New Testament. They both acknowledged that between manuscripts there were many more variants in the earlier periods than in the later periods. From the 2nd century to the 4th century there were many more variants between texts than there were between the 4th century and the 9th century, for instance. Ehrman’s argument is that since this is so then we have every reason to think there were even greater variants before we find our first manuscript copies. Among the earliest untrained and sometimes illiterate scribes we would expect even greater manuscript variants. Based on this trend Ehrman argued we just don’t know what the original manuscripts said. James White argued instead that if indeed the earliest copies of the originals contained greater variants, then despite the trend we should see even greater variants among the actual manuscripts we have than we find in them. But we don’t, he argued. Um… if there were no variants, all those manuscripts would be identical. We would have N copies of 100,000 words. Perhaps Ehrman oversold his case, or failed to make it clear. I don’t think that’s anywhere near as bad as those clergy and institutions which claim that the Scriptures of the Old and New Testaments are verbally inspired by God and inerrant in the original writing. We don’t actually have any of the OT or NT “in the original writing,” and the scholarship which gets us close to those originals does not in the least support a contention that the originals were inerrant. It seems to me that everybody always glosses over Ehrman’s comment that “the [NT] text [we have today] is no doubt closely (very closely) related to what the author originally wrote, and so it is the basis for out interpretation of his teaching” (p. 62 paperback). His point in MQJ is that we cannot be 100% certain that the text we have today is identical to the originals. There is still a minor chance of errorr. Thus, when he talks of “knowing” that we have the originals, he is being an infallibilist. I have to disagree with you here, Luke. A large number of variant texts is a problem for certain doctrines: namely, those which claim that the Bible is the unchanging word of God. Just the same way that the large number of early variants is a big problem for people who claim that the Qur’an was recited to Muhammad by an angel word-for-word and is unchanged since. Now, for Christians who admit human influence into the writing/reading of the Bible, I agree with you. Although, I do think it brings up certain questions, like: If God were real, and he wanted to communicate to us through the Bible, why would he allow so many errors to enter it? Does he want to communicate with us imperfectly? If he wants to communicate with us imperfectly, is it fair to base his judgment of us on whether or not we understood his communication to us? These questions, I think, are problematic for certain doctrines, even if it isn’t a QED against Christianity. Lorkas: I have to disagree with you here, Luke. A large number of variant texts is a problem for certain doctrines: namely, those which claim that the Bible is the unchanging word of God. For a rather bizarre example of this, see The Fakers by Danny Korem and Paul Meier. The first half of the book resembles a typical skeptical work, debunking such things as dowsing and ESP claims; except that each chapter ends with pious nonsense to that effect that it is unfortunate people believe in this stuff, because it blinds them to the real magic of God. In the latter part of the book, Korem makes his claim that the exceptional preservation of the text of the Torah over millenia indicates that God is overseeing the process. It always struck me as odd as well – So what if the New Testament has been handed down and translated and transcribed with 100% accuracy? Or the Koran for that matter. There is a world of difficulties that cast a gargantuan doubt on the claims of the bible as the magicaly perfect word of God regardless. We have perfect copies of The Urantia Book. I’m pretty sure I don’t have much to add here that Lorkas and Ryan didn’t hit. When I first read MQJ I was still trying to find a way to keep my faith and at the time I actually told a friend that it in a way helped me by giving me a way of saying “yes he existed, and we know a bit about him, even if we can’t know exactly what happened” which was admittedly a weak thread to hold on to, but it was a thread I could have held on to if I hadn’t continued on my “search for truth” instead of moving to a search to confirm my faith. I think Ehrman does overstate his case a few times in the book (as you pointed out luke), but I think within the context of the book as I read it they didn’t seem to be the thesis or detract from the actual information he was giving (often they seemed to be things set there so somebody could pull-quote it and cause controversy which would help sales). This is a great review. I’ve read several of Bart’s other books and have walked away with the same impression. His argument is an inference into the probable nature of those 1st two centuries of manuscripts that he ultimately can’t prove. He needs to make that very clear and always bring it back to that argument as one of the comments clarified. I imagine he is probably correct, but there’s plenty of junk for apologists to attack if he at all overstates his claims or gets off track. I’ve seen inerrantists hide safely behind the fact we don’t have original “autographs” so nothing he says technically touches their invincible ignorance. But exposure to the basic idea probably has its effect on laity. Lorkas: I agree, but those are not the doctrines that Bart Ehrman thinks are jeopardized by variants. But we don’t even know who wrote The Urantia Book! I guess it is bizarre enough for Stockhausen to have referenced it in acts 1 and 3 of Donnerstag (Licht). The Urantia Book is pretty facinating. I’d bet Mike Licona would say demons dictated it. I appreciate your review as a take that made me think. It was a little different from my impression of the book (granted, I read it 3 or 4 years ago), though, and I never got the impression that Ehrman was attempting to make as grand a case as you seem to imply, at least directly. My impression was that Ehrman, through illustrating a few examples where text was inserted entirely after the fact, and where accidental or deliberate transcription errors could change the meaning of a passage, hoped to argue not that these examples were sufficient to disprove the entire Bible, but that they were at least enough to sow doubts. If we can see these differences between the manuscripts which survive, what of the ones that didn’t? I don’t think I’d be wrong in assuming that the “winners” of the doctrinal debates would have had a bias toward destroying the more divergent texts, which would lead ultimately to more uniformity among the surviving texts.